A few months ago, I decided to start this blog – a place to organize my thoughts about expatriation, repatriation, international living, raising TCKs, multiculturalism – essentially my life. During this journey, I’m having the pleasure of discovering other bloggers who write about the same subjects from different perspectives and quite literally, from all over the globe. I believe that expatriates are their best source of help and information when it comes to living abroad and think that you too may benefit from some of the knowledge and experience out there. A few members from the ExpatJoy FB Group’s are bloggers, and I’m aware that many of us have favorite websites and blogs we read from time to time. So, I got recommendations from our group, conducted an online search, and read some blogs that appeared organically on social media. My goal is to create a blogroll of 100 different blogs and keep this list updated monthly. 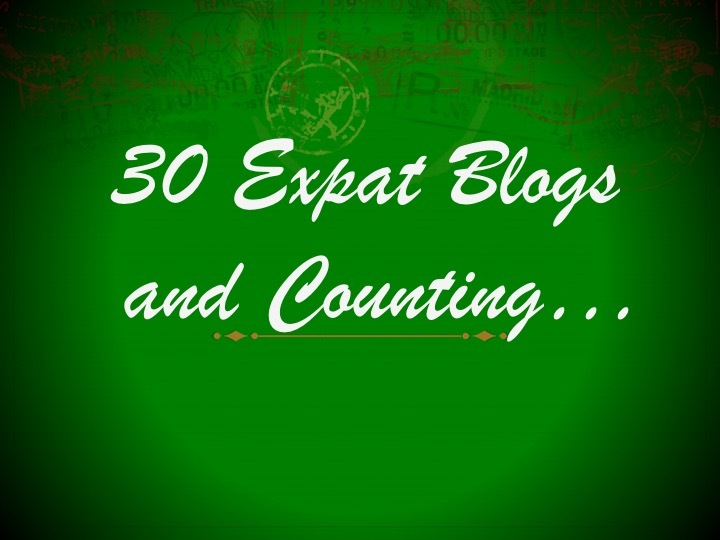 Feel free to add the name of your favorite expat blog in the comment section of this post. This first selection comes with 30 blogs (from A to K), organized alphabetically and with flags, indicating the places where bloggers have lived so far. In the next weeks, I will continue adding more names to the list. 1. A Career in Your Suit Case is more than a personal blog. It is a portal offering information, advice, and inspiration for expatriates desiring to create a portable career. 2. A Kindle in Hong Kong– Shannon Young, an American living in Hong Kong. She uses walking tours (lots of photos) and writing videos as ways to blog about her life abroad and show us a bit about her adopted city. 3. amandasettle.com – Olive, Feta & Ouzo – a life of food, thoughts & photos on faraway shores– an expatriate living in the beautiful Island of Rhodes in Greece. Amanda Settle has been blogging since 2013. 4. American Mom in Bordeaux – Jennifer shares her experience and viewpoints of life in France, expat live and travels. 5. A Mother Life – Australian Molley Mills lives in Harlem since 2005, with her three kids, husband, and dog. Her topics range from life in the city, family to Paleo diet. The blog has a very relax feeling to it. 6. And Then We Moved To – As a seasoned expat, over 15 years already, Mariam Ottimofiore is a cross-cultural child herself, and is raising multilingual and multicultural children. She writes about expat life, third cultural kids, and culture issues. 7. Brown Bear Travels – a British couple living in Toronto. Emma and Stewart blog about their new city, adventures in Canada and the USA, and expat life. 8. By Catarina – a Portuguese citizen, raised in South Africa and Bostwana, Catarina Queiroz is currently back to Portugal after spending 2 years in the Netherlands with her family. She writes about topics related to living abroad and repatriation. 9. Celia in Tokyo – adventure and insights of an expat in Japan. Celia is originally from Australia and teaches English in Tokyo. In her blog she share beautiful photos and writes about Japan, of course. 10. Cheese Web – Slow Travel in Europe and Beyond – Canadians, Alison and Andrew, slow travel around Europe and through their blog share their adventure with us. If you live or are planning to move to Belgium, this blog has interesting information for you. 11. Chickenruby – Solo Travel, Expat life and Family – UK, South Africa and Dubai. Suzanne Chickenruby writes about her daily life. She started in Pretoria in 2011 and continues now in Dubai. Her One Daily Positive short posts come with photos and gives us a close insight into her life. 12. Communicating Across Boundaries Blog – Communication Across the Boundaries of Faith & Culture – With two writers on board, this interesting blog brings us topics related to cross-cultural communication, with focus on TCKs (third culture kids) and faith. 13. The European Mama – Parenting. Traveling. Cooking. Living the European Life. – Olga Mecking is a “Polish woman living in the Netherlands with her German husband and three trilingual children.” This active blogger and author appeared many times during my search for interesting expat bloggers. She has been published often, including in the Huffington Post and the Wall Street Journal. 14. Expat Edna – Travel. Food. Photography. Edna Zhou is a young expat who has lived for the last 8 years in Singapore, Italy, China and now in Paris, France, while traveling to up to 20 countries each year. Impressive! She is originally from Pennsylvania and is extensively published. 15. 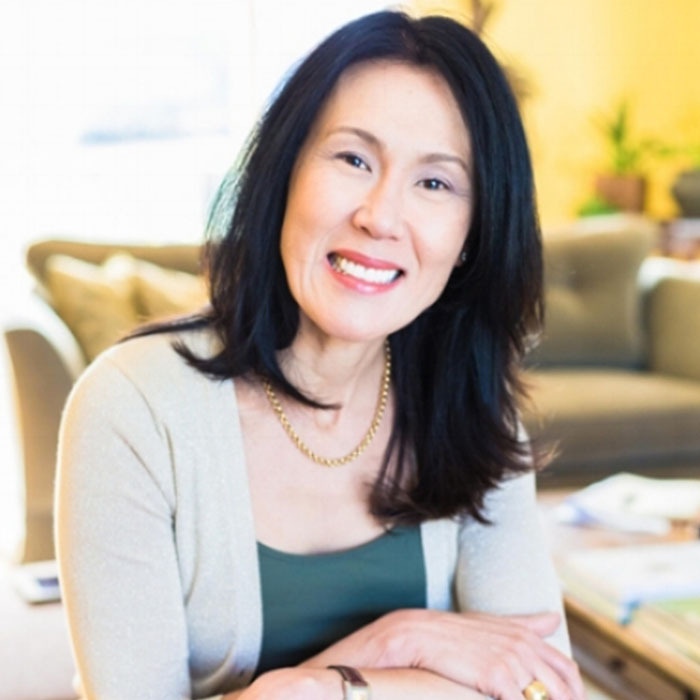 Expat Nest – Counselling without Boarders – Vivian Chiona, a multilingual expat psychologist, writes about a variety of topics related to living abroad, coaching, transition and cross-cultural issues. She lives in the Netherlands. 16. Expat Since Birth – a blog by a multilingual expat-since-birth, mum of three, living in the Netherlands and writing about multilingualism, multiculturalism, parenting abroad and international life – Dr. Ute Limacher- Riebold’s other blog is called Ute’s Expat Lounge. 17. Expat Clic – is a free website for expatriate women managed by volunteers who have been living abroad themselves. Their articles are featured in English, Italian, French and Spanish. Claudia Landini is the site’s founder and coordinator. and many more! 18. ExpatJoy – Passionate Global Living – a blog about the joys and struggles of international living. Sandra Bissell is a CCK (cross-cultural kid) originally from Brazil, a long-term expat, married to a TCK (third culture kid) and raising three TCKs. Sandra recently moved back to the United States for the 4th time. 20. Expat Mum – Observations from the U.S. of A. – A Brit living in the Unites States for more than twenty years, Toni Summers Hargis is an author and blogger who writes about life in America. 21. Expat’s Norway – Thinking out loud about Daily Life in a Scandinavian Country – G is originally from El Salvador and after living in France, she lives now in Norway. As the blog names suggest, she writes about life in this Scandinavian country. 22. Free Candie – Candice Walsh is a young lifestyle and travel writer originally from Canada and currently living in Hamburg, Germany. Her blog features her travels to 30 countries so far. Great stop for ideas for your next trip. 23. French Girl in Seattle – France Travel Advice from a Native – Véronique is a long time blogger and travel writer, and she loves her native country. Her blog brings tips on traveling in France and in the United States. 24. French Twist D.C. – “Expat with nationality ADD.” Laetitia grew up in Paris and writes about her life in Washington. She enjoys writing about a variety of interesting topics, including food. 25. Globally Grounded – Globally Mobile|Locally Grounded – As an educator and global mobility specialist, Jane Barron “firmly believes that mobility can actually enhance learning.” She writes about TCKs, expat life, and education. 27. Invading Holland – The Story of an Accident Prone Englishman Living in The Netherlands – Stuart created a fun cartoon blog with lots of great posts. He has lived in the Netherlands for over 15 years and gives us an insider’s view of life in this country. 28. Irish American Mom – Mairead moved to Elmira, NY, back in 1988 planning to stay for one year and as you can imagine, the rest is history. Lots of fun facts about Irish culture, yummy recipes, and family related topics. 29. JoburgXpat – and American Repat – A blog dedicated to life in Johannesburg, South Africa. Sine is originally from Germany and lived in Africa for three years. She is also an author and travel writer. 30. KHD Consulting International – Advancing Global Careers|Crossing Cultures Confidently – Katarina Holm- Didio is originally from Finland and writes about topics related to cross-cultural issues, global careers, transition and relocation. She has lived in the United States for the last 17 years. I truly enjoyed reading the blogs above and hope you will as well. There are many expat, repat and travel writers out there proving us with inspiration, information and insight. Take advantage of them. If you are a blogger of follow a special one, please leave your comment below. I will make sure to add them to future blogrolls.